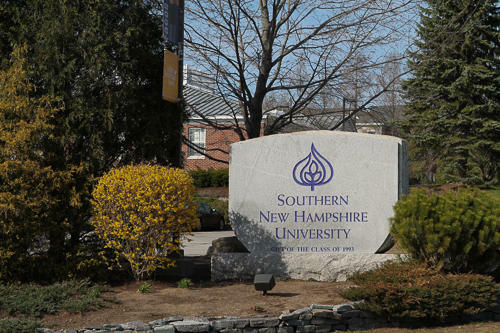 Southern New Hampshire University has set up a $1 million emergency fund for students and employees affected by the government shutdown. SNHU, which has a campus in Manchester and 135,000 students worldwide, is offering payments of between $250 and $1,000 to students and employees in "immediate financial crisis" because of the shutdown. The money will be available to students who are federal employees not receiving a paycheck because of the shutdown, or students and university employees whose spouses or partners are federal employees not receiving a paycheck. SNHU president Paul LeBlanc wants the process of applying for funds to be simple. "The documentation being requested is simply some verification that the person in question is a federal employee, and then also some kind of documentation about the immediate need," he says. "So that could simply be the mortgage payment bill." LeBlanc says the payments come from the school's reserve funds. "We're not cutting a program to do this," he explains. "We're probably going to fund a little bit less robustly a bunch of things that we currently do." LeBlanc says qualified students and employees should be able to receive the money within 48 hours of applying.